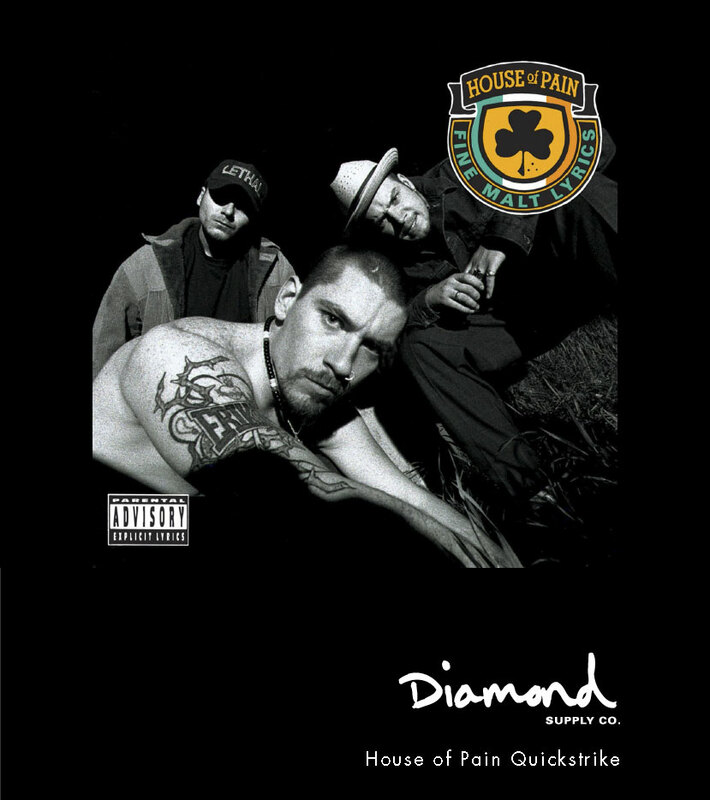 House of Pain X Diamond Quickstrike! collaborative project celebrating the 25th anniversary of ‘HOUSE OF PAIN’. from 1992 is one of the most recognizable hip-hop tracks ever recorded and released. that fact with this Diamond x House Of Pain capsule collection. Order Deadline ist Mitte/Ende August, Release dann Mitte Oktober.